On 8th June 2009 (Queen’s Birthday), members of the Equinox Oxfam Trailwalker did a training walk along the Coastal Walk, from Bundeena to Otford through the Royal National Park. The journey began with a train ride to Cronulla, followed by a ferry to Bundeena. It was supposed to be a 27km walk, however we got a little off course and ended up doing 32.7km. 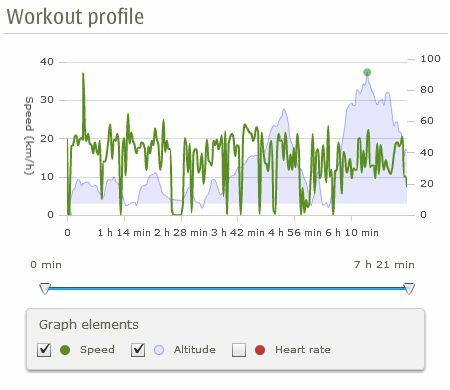 Below is the map of the walk followed by the workout profile (speed and altitude data).